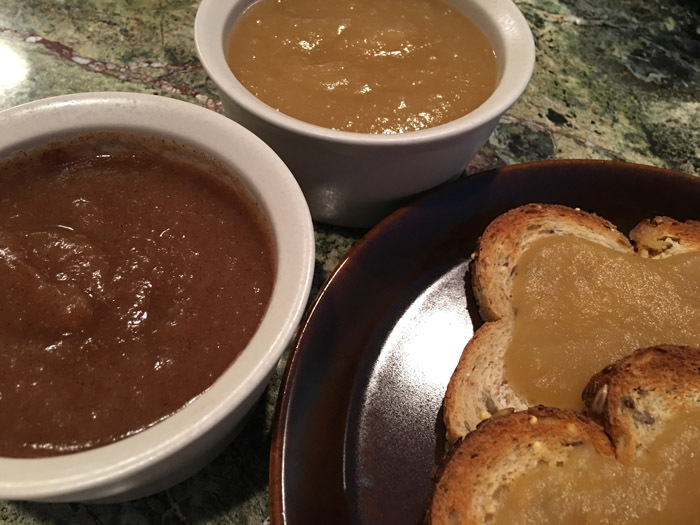 Apple Butter| Apple Butter is delicious on buttered toast. My grandma ate lots and lots of apple butter. Brown and thick, she would spread it over toast, on crackers and honestly with just about anything. She loved her apple butter. She offered to share her prized jar of apple butter but I would politely turn it down and reach for the grape jelly. As a child, the thought of spreading oxidized apples boiled into a paste on my buttered toast was not appealing. Even now I haven’t eaten apple butter in years, but that is about to change tonight. 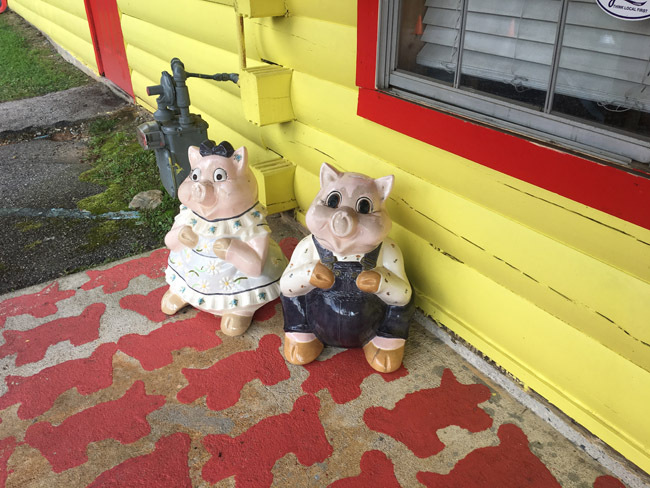 Last weekend I went to Ellijay, Georgia for the first of my apple quests to the North Georgia Mountains. I will end up going several times because I love, love, love apples and I can’t get enough of the beautiful scenic drive. 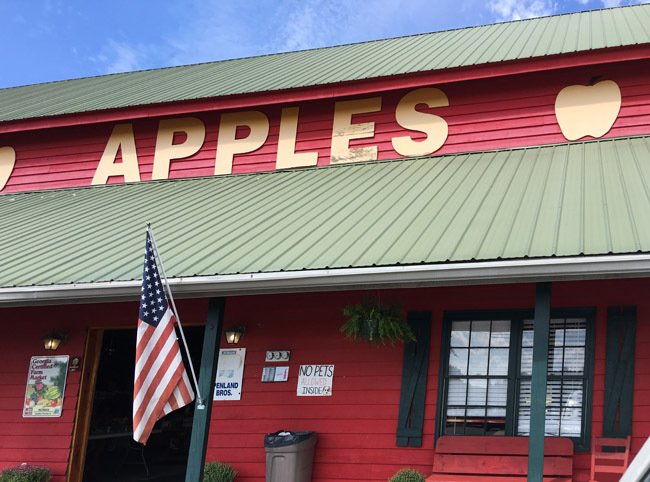 We typically go to two or three apple houses up there so if you know of any others I should try, let me know. I wouldn’t mind finding some organic apples. The ones I bought aren’t waxed but they do contain some chemicals that I probably don’t want to know about. First stop was Panorama Apples. 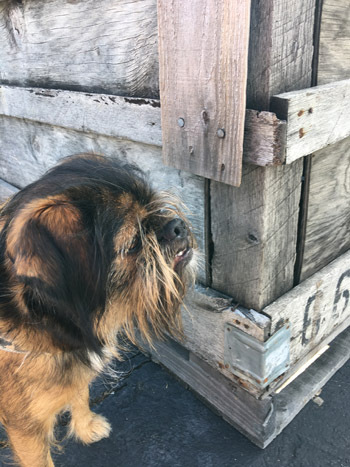 Chupa enjoyed sniffing each and every apple crate outside. He learned that you can’t leave little gifts on the sides of the apple crates. Although he looks grumpy, he was okay with that rule because he’s happy just to get to go on a long car ride. 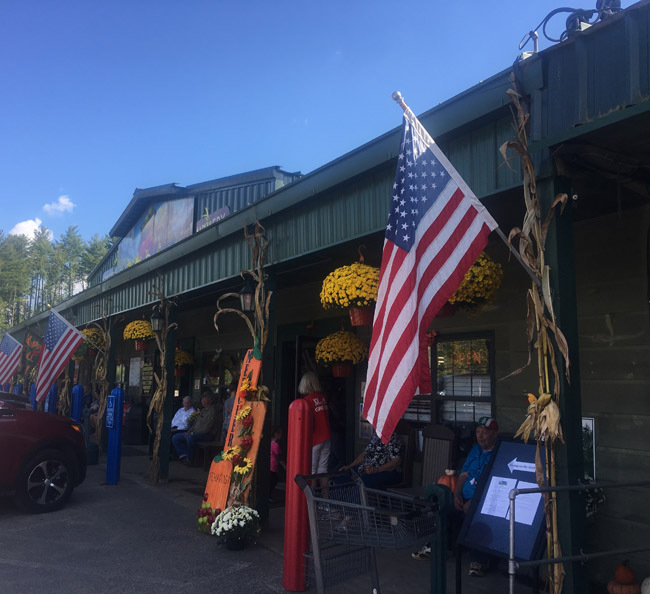 Panorama was the first apple house I ever went to as an adult who purposely stopped to buy apples. I was dragged along as a child to farmers’ markets and the like but it is much more fun to go as an adult. You can sample foods without getting the stink eye from employees and you can buy whatever you want even if it is a bit overboard compared to…oh….let’s say….everyone else. Speaking of my purchases, I bought 5 varieties of apples (you need an assortment for applesauce and apple butter), one gallon of apple cider, one dozen apple cider doughnuts (in the freezer now), and a few assorted fried pies (also in the freezer now). And don’t forget the apple slushie to go. My favorite apple house is Penland’s. It is directly across the street from Panorama. 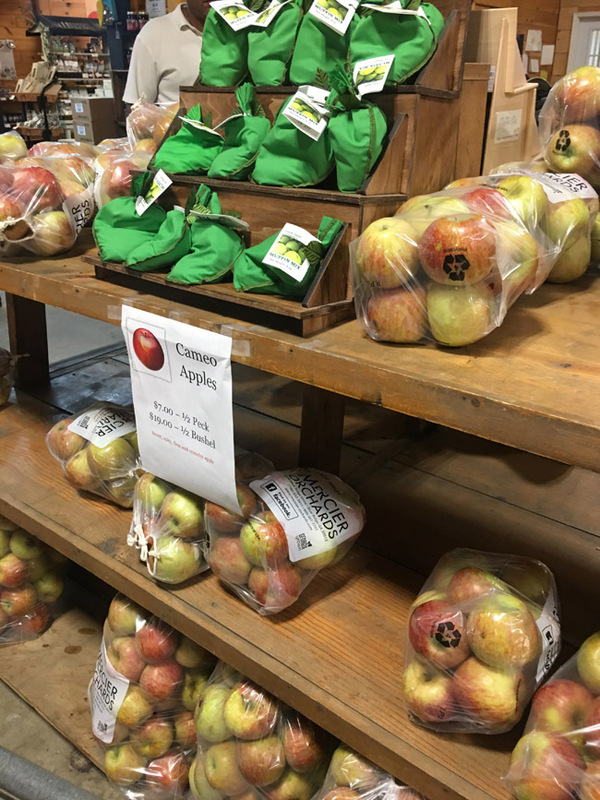 It is much smaller but the prices are better and the salespeople are the bakers, owners, and pickers of the apples. They are very friendly and helpful. Our final stop was at Mercier’s. They are a huge operation. 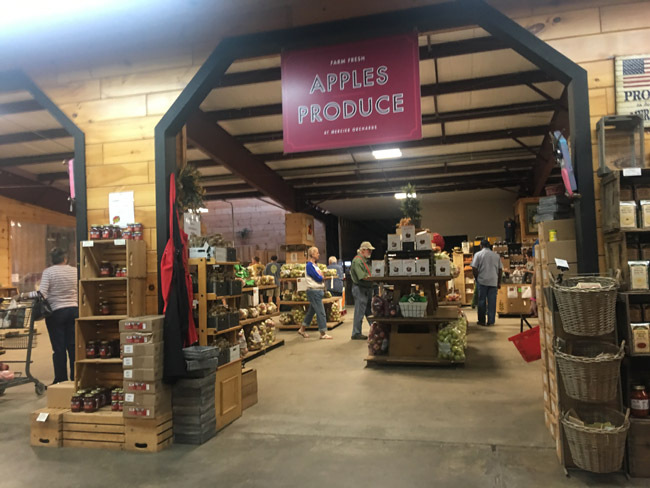 I would not normally have made the extra 15 mile journey there but they were the only place that I could find my favorite apple – Cameo. 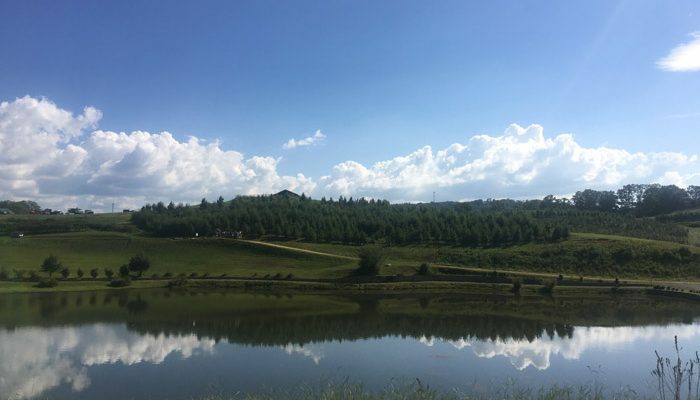 Penland and Panorama will have their Cameos in October. Sounds like another trip up there for me. 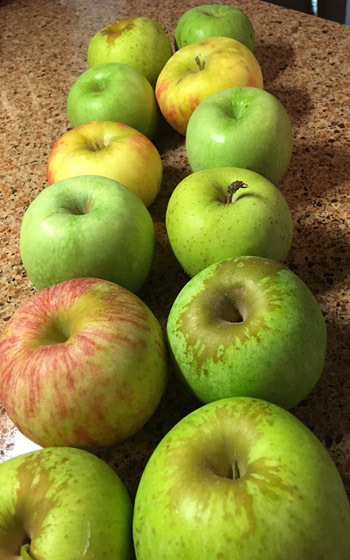 This year I bought Golden Delicious, Cameo, Mutsu, Granny Smith, and Honey Crisp. In a large stock pot heat the apples, brown sugar, (spices) and cider to boiling. Reduce heat and simmer until thickened; about 2 hours. Puree with immersion blender. You’ll notice I have three “or nots” up there in the recipe. I really tried to go all out Apple Butter but my dislike of cinnamon stopped me before I “spoiled” the taste of 12 perfectly good apples. I made a portion with the traditional spices and I’m sure many of you will thoroughly enjoy the recipe, but I liked it better without. At this point you’re thinking, “Now, Julie. That’s just crazy talk! 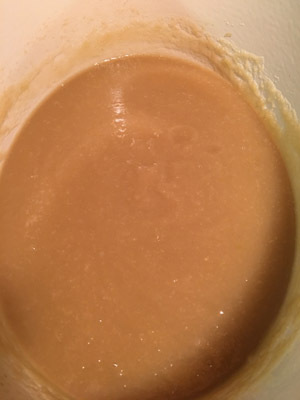 Apple Butter without cinnamon is just shiny applesauce.” You would be somewhat correct but for me the taste is pure and fresh and I love it on buttered toast. So, as I mentioned earlier, I’m an adult now and people giving me the stink eye (or in this case, the stink blog) when I do something differently doesn’t bother me. 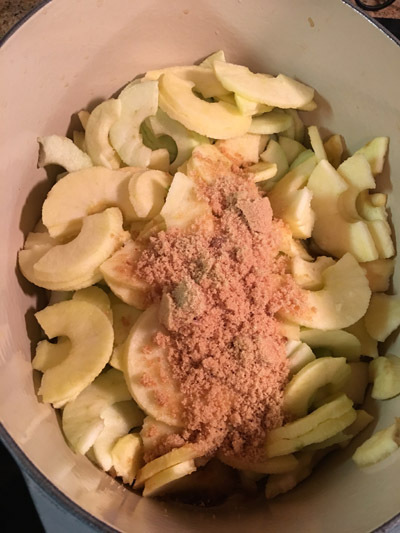 My advice is for you make this Apple Butter to your own preference. You’ll be sure to enjoy it because it’s specially made just for you and no one else. No judgement. 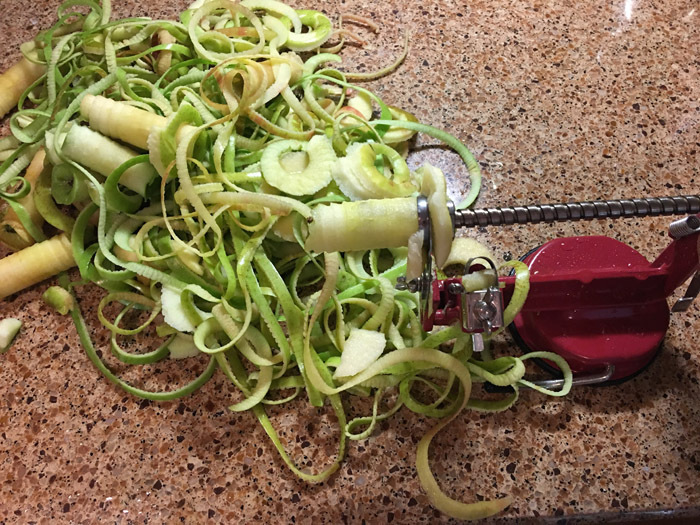 I used this suction cup apple peeler for a quick job peeling my 12 apples. 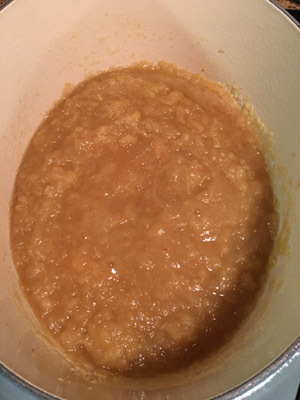 After you simmer for a while you get a nice applesauce. Then puree for the Apple Butter and cook some more. 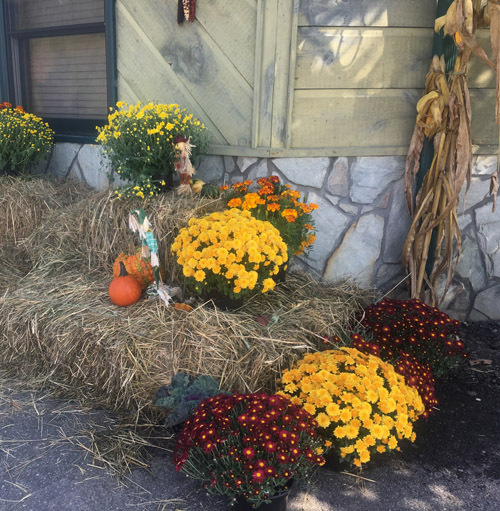 Looking forward to the cool temperatures and bright colors of the Fall!